With Zoom-In CAS Camera mod you can see better the sim you’re editting. 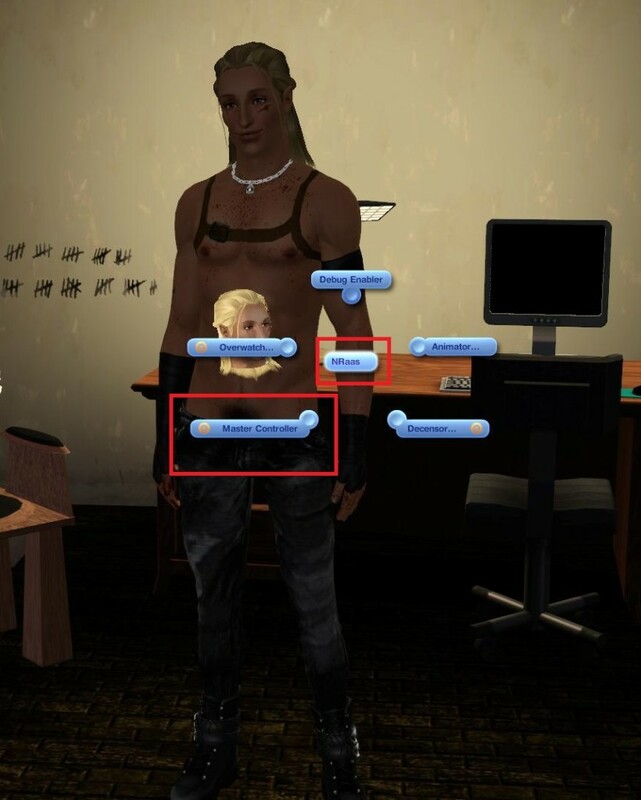 If you want to create your dream sim, no matter beautiful woman or handsome man (or maybe a monster) you will need to use the sliders. 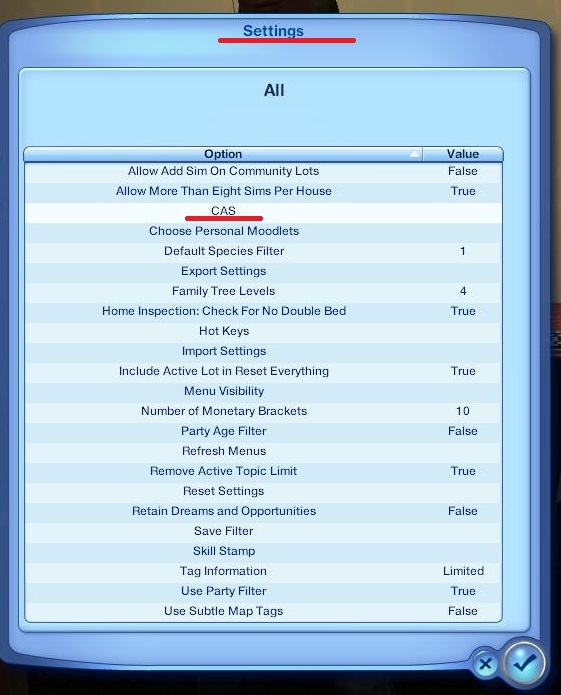 Those provided by EA as barely enough – that’s why numerous custom sliders have been created.Below you will find the sliders I use. I use only facial sliders, as messng with body sliders may distort the use of poses and animations and even normal interactions between sims. Like a hight slider, which inappropriatly used may turn a simple kiss into a disaster. 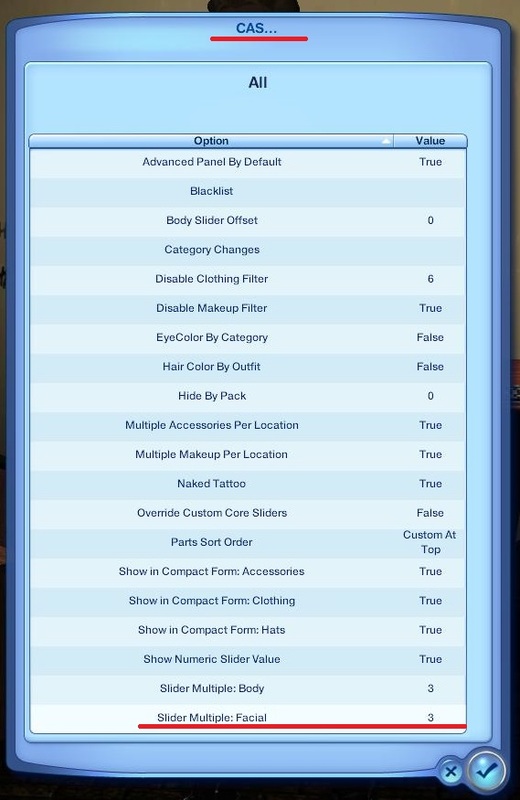 To use many custom sliders you will need a sliders hack. Luckily Nraas Master Controller does also that. Once you have Master Controller Installed, click on your sim in live mode, seclect Nraas / Mater Controller from the pie menu. 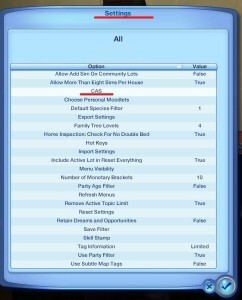 In the table that apperas, choose Settings/CAS/Slider Multiple: Facial and set the value to at least 3. this will make the number of allowed facial sliders three times bigger than normal. While creating your perfect sim it is really usefull to see a true close up on their face. Vanilla game allows for some, but it really isn’t enough. 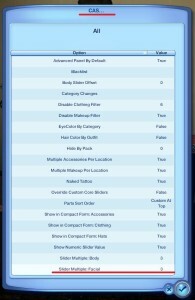 This problem is easily fixed by Zoom-In CaS Camera mod, that allows for greater close up while editig your sim in CAS. Both Nraas Master Controller and custom sliders are installed like any other mod. If you don’t know how to do it, check here. To make the game work faster, you can merge all the slider mods into one package. To see how to do it, check my post on Speeding up the game. Well, the sliders are just a tool. To make a good sim it takes time, patience, practice and a bit of luck. 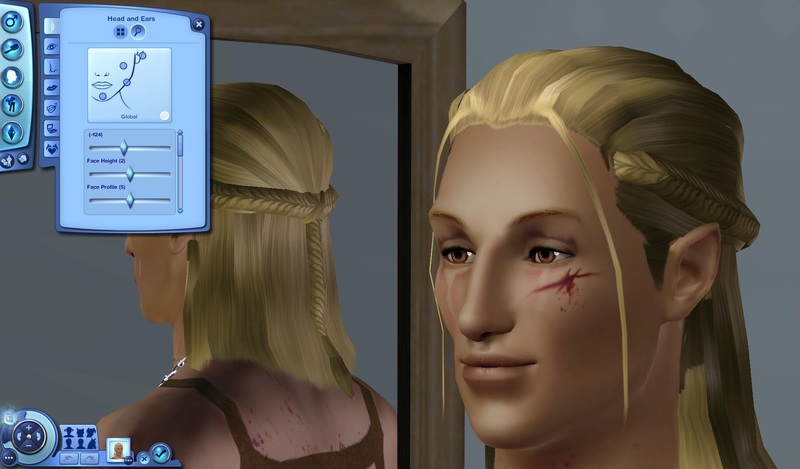 I myself have always had a problem with creating a sim that would look like some real person. So well, good luck and have fun.